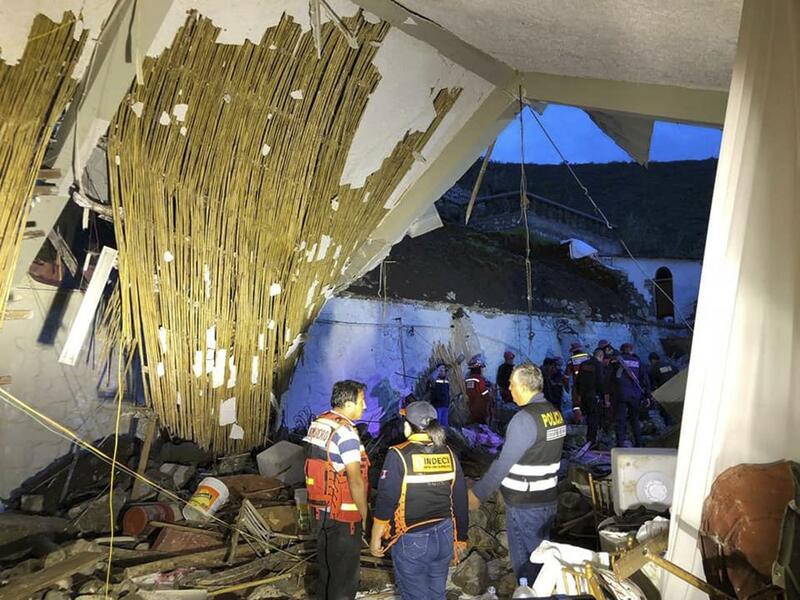 LIMA, Jan. 27 (Xinhua) -- At least 15 people were killed and 30 others injured after the wall and roof of a hotel collapsed in southern Peruvian department of Apurimac, the National Institute of Civil Defense (Indeci) said on Sunday. The accident occurred at around 12:30 a.m. local time (0530 GMT) on Sunday in Hotel Alhambra in the Tamburco district, Abancay province of the department of Apurimac where a wedding ceremony was taking place, said Indeci chief Jorge Chavez. The official said that the collapse of the hotel was caused by heavy rains that have been battering the area.